The Ahmed Kathrada Foundation’s essay writing competition will now see the top three winners receive cash prizes over and above laptops. The top writer will receive R5000, followed by R3000 and R2000, a for the second and third best essayists. 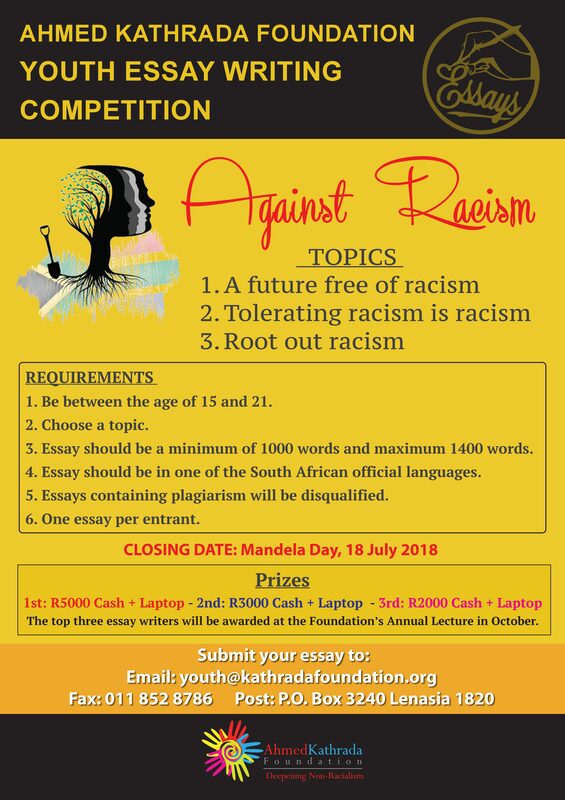 The closing date for the essay writing competition has also been extended to Mandela Day, 18 July 2018, marking Madiba’s centenary. Topics for the competition remain: A future free of racism; Tolerating racism is racism; and Root out racism. The cash prizes, sponsored by the Foundation, were included as an additional incentive for young people to participate in the competition. “We hope that the laptops would be a valuable resource which the three winners can used for school or university work, or to develop their writing skills. 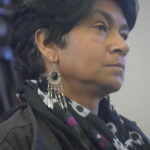 The winners can determine how best to use the cash prizes themselves,” said the Foundation’s Executive Director, Neeshan Balton. * To enter the essay writing competition, submit your essay to: email: youth@kathradafoundation.org ; fax: 011 852 8786; or post: P.O. Box 3240 Lenasia 1820. Entrants must be between the age of 15 and 21 years. The essay should be a minimum of 1000 words and maximum 1400 words and can be in any one of the South African official languages. Essays containing plagiarism will be disqualified. Only one essay per entrant is allowed. For more information, contact Dawood Raphalalane on 011 854 0082.